The Beach House is a family friendly guest house, located just 10 metres from Weymouth beach. The Georgian guest house has a distinctive round design and offers modern, light and airy guest accommodation with wonderful sea and esplanade views. There are 8 guest rooms available and they are all comfortably furnished to ensure an enjoyable stay is had by all. They include 5 en suite double rooms, 2 single rooms with a shared bathroom, & a family bedroom that sleeps 3 with en suite facilities. Breakfast is included in the room rate and is freshly prepared each morning. Your hosts are more than happy to accommodate your dietary requirements, please make sure you advise of any at the time of booking. 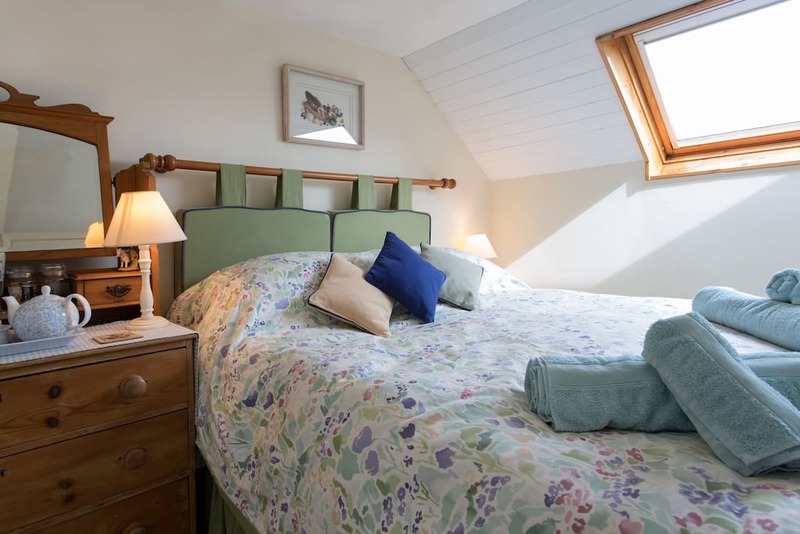 This guest house is an ideal base for exploring the local area, visiting local attractions and amenities plus the fantastic Jurassic coastline. 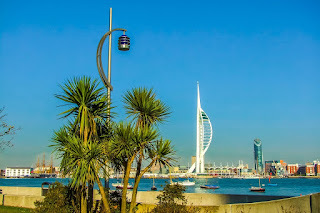 A short walk along the seafront brings you to Weymouth town centre with its varied and interesting shops, bars and restaurants as well as Georgian architecture, a lovely harbour and marina and a fort. The Isle of Portland is a short bus trip away and well worth a visit. 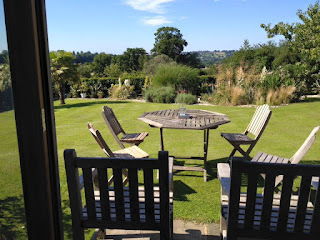 Three Chimneys Farm offers self contained bed and breakfast accommodation located in Goudhurst, Kent. 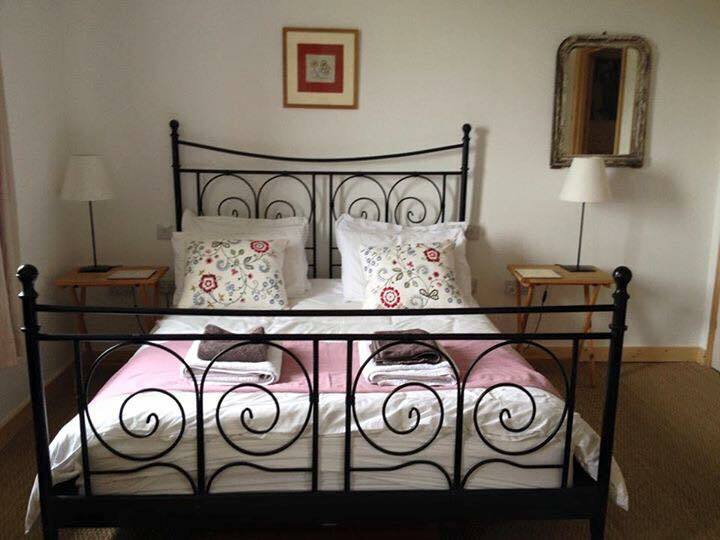 The B&B accommodation is a charming detached cottage that has one bedroom, with parking close to the door. There are lovely views across farmland to Bedgebury Pinetum in the distance. The cottage comprises one double bedroom with en-suite bathroom (with shower), w.c. and handbasin and an open plan living/dining room, with galley kitchen. Facilities include CD Player, DVD and TV. Wireless broadband is also available. There is a wood burning stove and a double sofa bed. A pet is permitted in this cottage at an extra cost of £15.00 per week. Set amidst glorious countryside at the end of a one mile farm track in the heart of the Weald of Kent, Three Chimneys Farm is a perfect hideaway for a relaxing country holiday. An ideal base from which to explore leafy country lanes, visit stately homes, castles and delightful gardens which abound in this area, or enjoy a long leisurely lunch in one of the many village Inns. You may prefer to stay on the farm and play tennis, enjoy the views, or walk in the wood. The exciting mountain biking tracks of Bedgebury Forest start just half a mile from our door. Bedgebury Pinetum is a short walk across the forest. Brewers Lodge is a Public House with Restaurant and Accommodation, which began life back in the 16th Century as a farm built and owned by the infamous Morgan family. 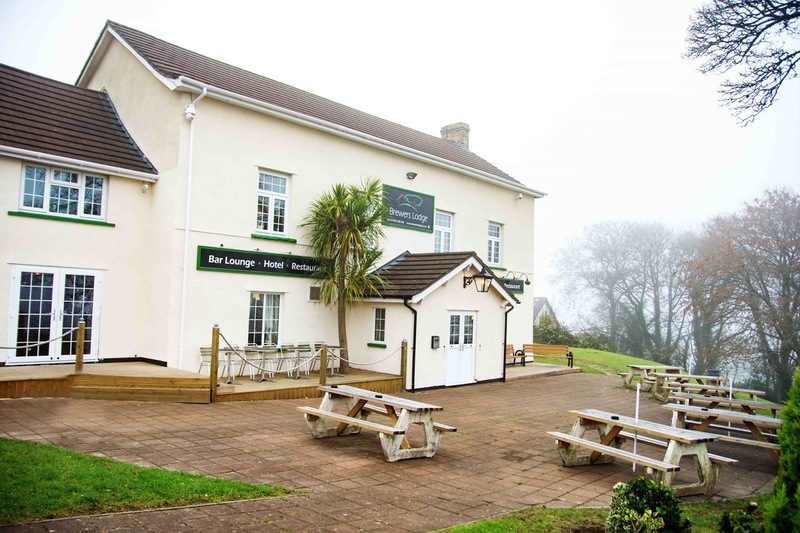 It is set in its own grounds overlooking the small town of Blackwood - a short distance from beautiful woodland, and yet within easy reach of the city of Newport, Cardiff, Bristol and Cardiff airports. 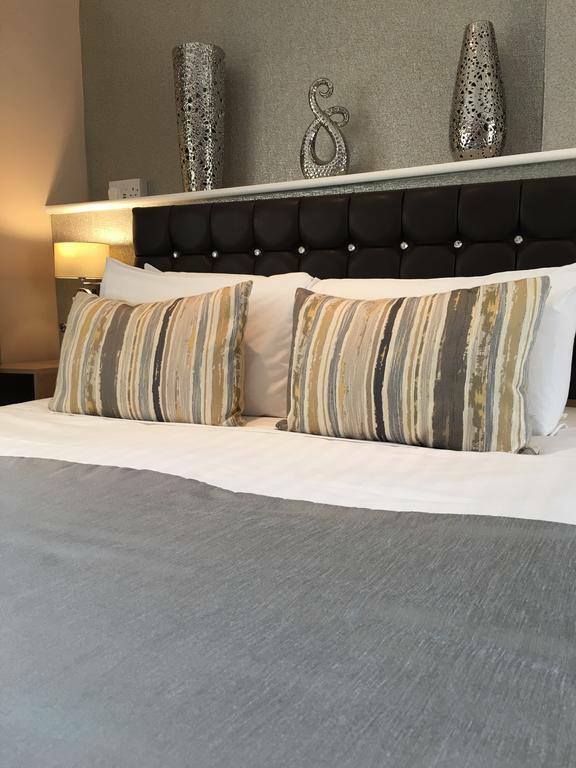 The tastefully furnished guest rooms are all en suite, and provide views of the well kept surrounding garden area. The following are also included in each room: TV, Wi-Fi internet access, beverage tray with tea and coffee. Brewers Lodge take pride in producing homemade food of the highest quality. The menu caters for a wide range of tastes, there is something for every palate. For vegetarians or those with special dietary requirements, the chef will be happy to suggest a choice of appropriate meals. The location between town and country means that Brewers Lodge is in a great place to for many sporting activities, shopping or simply relaxing. Overlooking the bustling town of Blackwood, Brewers Lodge has views across the Mynyddislwyn Mountains and the lush Sirhowy Valley with its greenery and farmland as far as the eye can see. Trevarn offers Bed & Breakfast accommodation well situated for walking the Coastal Path, with the Helford River just down the road at Carwinion, and the Coastal Path ten minutes' walk away at Nansidwell beach. 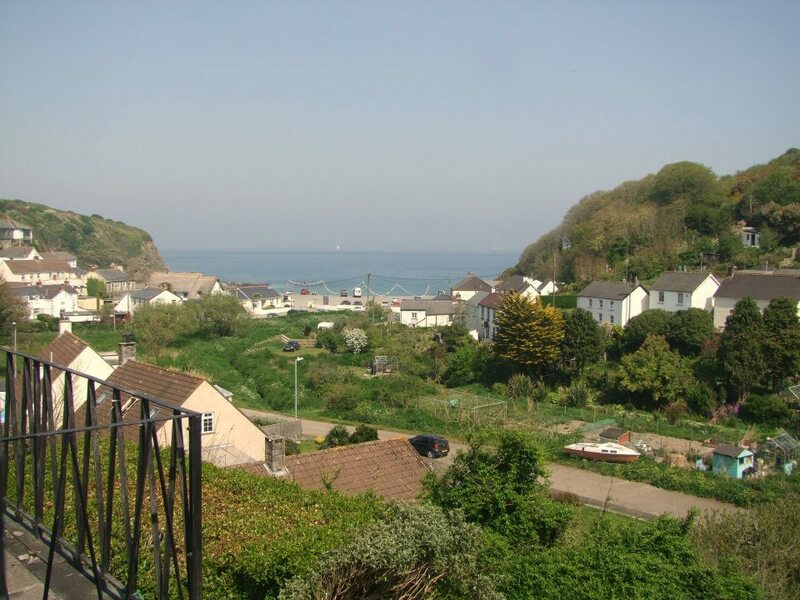 It is situated on the scenic route to Falmouth, and almost opposite Carwinion Gardens. There is one double bedroom and one single bedroom at this bed and breakfast, each with its own private bathroom. The twin is a small twin bedroom with use of adjacent bathroom. At this guest house accommodation each bedroom has tea and coffee making facilities, a hairdryer and a television. There is also a sitting room, plus use of a secluded garden. A conservatory is available for guests use. A packed lunch is available to provide for guests by prior arrangement. 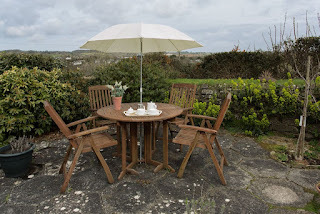 This Bed and Breakfast accommodation is situated in a quiet location, with wonderful views down to Mawnan Smith village and Maenporth, as far as the Roseland Peninsula and beyond, towards the Eden Project and Heligan Gardens (less than an hour by car). Woodland Views is a friendly, modern bed and breakfast, set in the traditional Dorset village of Milton Abbas. The newly renovated bungalow is set in the very traditional and stunning ‘picture postcard’ village of Milton Abbas. The village is steeped in history, which you will feel as you stroll down the pretty streets & admire the surrounding countryside. Once visited, it will surely not be forgotten. The bed and breakfast is modern with simple clean lines and set in a background of gentle sloping woodland. It is situated in a cul-de-sac with a public pathway heading down towards The Street. The accommodation is clean, warm and welcoming as is the hearty breakfast provided. Variations on the full English and vegetarian options are provided with prior notice. Breakfast times are flexible. All rooms are on one level and fully accessible for wheel chair users, as is the extensive decking area overlooking the wooded garden. Our spacious wet room will facilitate either able bodied or disabled guests very comfortably. 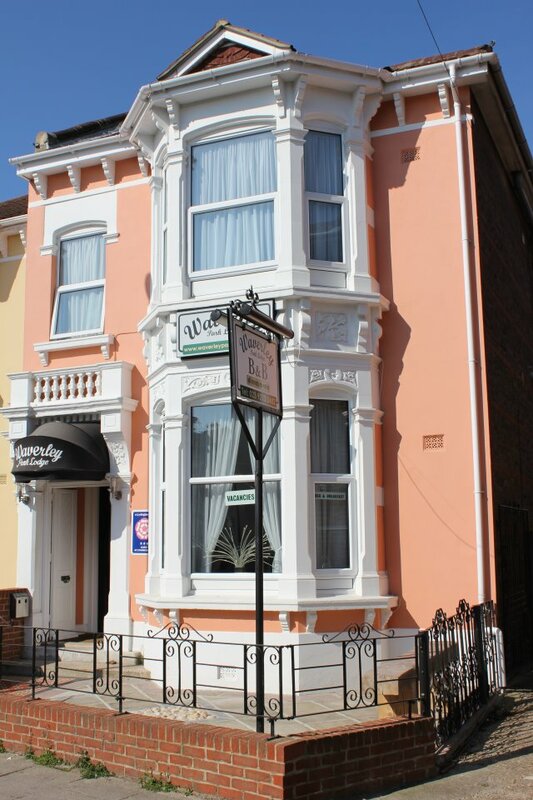 Waverley Park Lodge Guest House is located in Southsea, Portsmouth in Hampshire and is in the perfect position to see the local attractions the area has to offer. 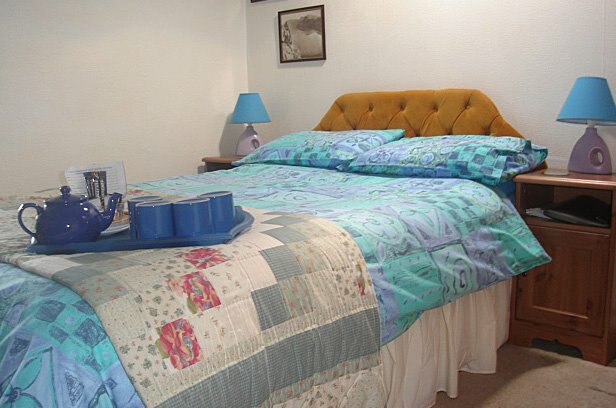 The spacious Victorian Guest House has individually designed rooms offering singles, doubles, twins, and family accommodation with your every comfort in mind. 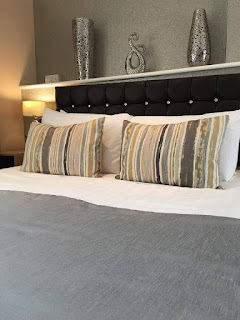 The guest house offers en suites to every bedroom, complimentary beverage facilities and toiletries, remote control colour televisions, radio alarm clocks, and your own keys to come and go as you please. Breakfast is included within your room rate and is freshly prepared each morning. Please advise when booking of any special dietary requirements. 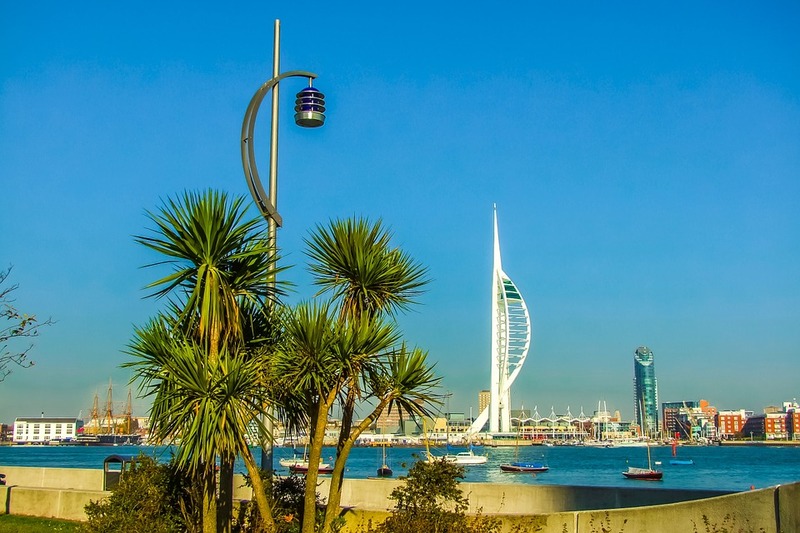 Gunwharf Quays is within easy reach with its famous designer outlet shops, bustling restaurants, bars and entertainment, not forgetting the impressive Spinnaker Tower which gives stunning views of Portsmouth, the Solent and the Isle of Wight. 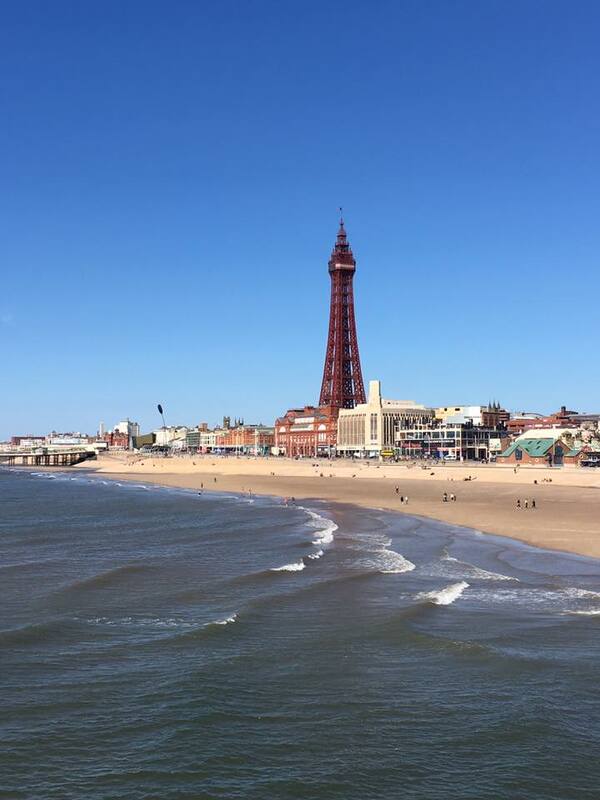 The seafront is only a 10 minute stroll away where you can visit South Parade Pier, Canoe Lake, the Model Village, the Butterfly Museum with free entry, bowling green, pitch & putt, tennis courts and the beach. All the ferry ports are also within easy reach and we welcome families who need an overnight stopover. Gallen-Treath Guest House is situated in the quiet village of Porthallow on the Lizard peninsula in Cornwall. At the bed and breakfast you are guaranteed spectacular sea and countryside views with a warm and friendly welcome. Whether you wish to relax in peace, walk the coast path or go diving - all are possible. Most of the guest bedrooms are en suite, all are individually decorated and have beverage facilities and Freeview TV. There is a second floor lounge with balcony and a patio/garden area for total relaxation. The menu is varied, catering for those who like the traditional Full English breakfast, vegetarians, folks with special diets and small eaters. Flexible breakfast times are available for anyone diving, walking or working in the area. Your hosts also offer a three-course evening meal (please book in advance). Gallen-Treath is approximately 1.5 minutes walk from the South West Coast path and Porthallow is the halfway point - come and take your photo by the granite marker on the beach. The beach is dog friendly all year round. The Corona dates back to the 1930’s and is a well maintained ‘Art Deco’ property that offers warm and welcoming guest accommodation to those who want to visit Blackpool. The Corona provides fine guest house accommodation that is competitively priced and ideally located for exploring the many sights and sounds this wonderful seaside resort has to offer. All guest rooms have their own en-suite facilities. 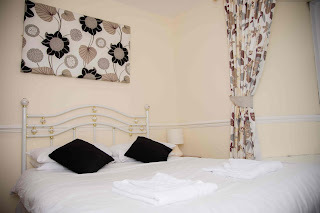 All bedrooms have wall mounted flat screen TV’s with 70+ channels, central heating and hospitality tray. There is also Internet access available to all guests free of charge if booked on our bed and breakfast tariff. The superior/deluxe higher grade bedrooms have larger flat screen televisions and are supplied with Elemis Spa bathroom toiletries, bathrobes, slippers & welcome chocolates, mineral water replenished on a daily basis at no extra charge! The luxury accommodation also comes with wine waiting in your room upon your arrival, bedside chocolates, an iron, and ironing board, a fan for warmer weather. A 26 inch wall mounted TV, as well as robes, slippers and superior Elemis Spa bathroom toiletries. A continental breakfast is available free of charge to all higher grade bedrooms, all you have to do is pre-order the evening before and it will be delivered to your door at your chosen time. With direct links to the M55/M6, reaching The Corona could not be easier. 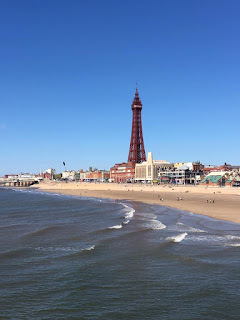 SAT NAV: FY4 1NX Blackpool pleasure beach train station is just 2 minutes walk, Blackpool Airport is less than 1 mile away with direct flights to the Isle of Man as well as Blackpool Heli port for all off shore flights in the Irish Sea.